Many people we see in Kalispell, who travel from Bozeman, Helena, and Missoula, MT, have isolated areas of stubborn fat that detract from their appearance. CoolSculpting, a breakthrough nonsurgical fat reduction treatment, tones the targeted area by using cold temperatures to destroy fat cells. 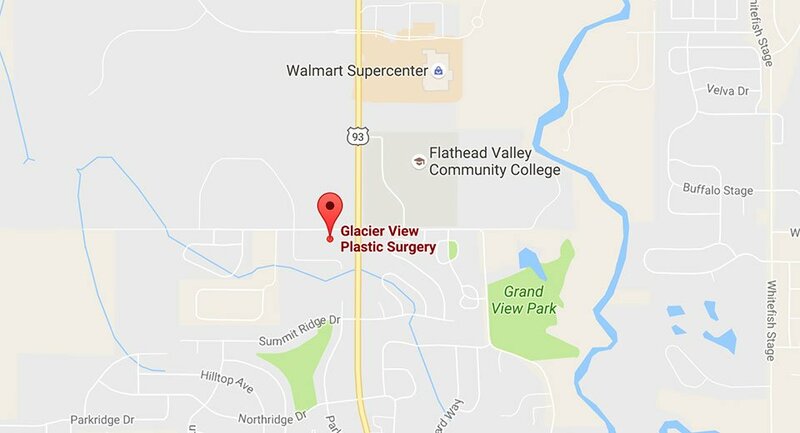 Glacier View Plastic Surgery is the only aesthetic practice in Flathead Valley where CoolSculpting is performed by a physician’s assistant with the oversight of a plastic surgeon. To find out if CoolSculpting can help you put the finishing touch on your contours, request a consultation using the online form or call us in Kalispell and Whitefish at (406) 756-2241. CoolSculpting isn’t a weight loss procedure. For some patients who want to avoid surgery, CoolSculpting can be an alternative to power-assisted liposuction. The science behind CoolSculpting is a process called Cryolipolysis® — targeting fat cells with controlled cooling that doesn’t damage the skin or surrounding tissue. A pair of Harvard scientists who noticed that children sucking popsicles got dimpled cheeks developed that process. Fat cells are vulnerable to temperatures that don’t pose a danger to other tissue, and this is the key to CoolSculpting. The cells crystalize and die, and the body gradually removes them through its normal metabolic process. Our physician assistant, Kristy, performs most of the CoolSculpting treatments at Glacier View Plastic Surgery. She customizes the procedure based on the specific concerns you describe during a consultation. No anesthetic is necessary, and patients remain comfortable during the procedure. The treatment begins with Kristy or one of our surgeons applying a gel pad and specially designed applicator to the treatment area. Expect to feel some intense cooling during the initial few minutes of the procedure, but the cold temperature will soon numb the area, and you can read, browse your smart phone or tablet, or even take a nap. Because we have multiple CoolSculpting machines, we’re pleased to also offer DualSculpting™ to our patients. With DualSculpting, you can have 2 areas treated at once, saving you time and allowing you to see your results even sooner. CoolSculpting doesn’t require any downtime, and patients can return to work or their other normal activities immediately after leaving our office. You may experience some soreness and redness in the treatment area, but that normally resolves within a day. Because the treatment gradually destroys fat cells, results emerge over time. Some patients may see changes as soon as 3 weeks after the procedure, but expect to see the most dramatic results after 2 months. You may still notice changes 4 to 6 months later. Most patients benefit from a follow-up procedure, scheduled at least a month after the initial treatment, to get the optimal results.